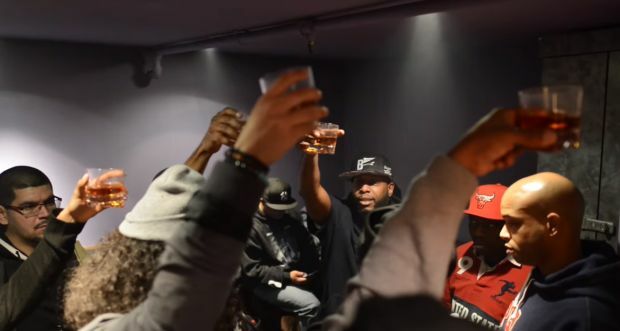 In April your boy dropped the review for The Seven, the tag team EP that united Hip Hop vets Talib Kweli and Styles P. Last month they dropped the visuals for the single "Nine Point Five", which features the rest of the mighty LOX squad and NIKO IS on the hook. While the album didn't see that much commercial success, it definitely garnered critical acclaim from Hip Hop heads nationwide. To see what I thought about The Seven EP, peep the review. The documentary style video follows Talib and Ghost as they embarked on their The Seven Tour. We get clips from concerts, radio station interviews, down time on tour buses and behind the scenes footage. "Nine Point Five" is one of my favorite tracks on the EP simply because of math. You get one track with four of the strongest lyricists in the game. The longevity of all the emcees is a testament to their pen game. And not just that, but to be dropping gems in today's Hip Hop landscape shows their ability to change and adapt. They all do this and at the same time never sell the fans short when it comes to lyrical content.